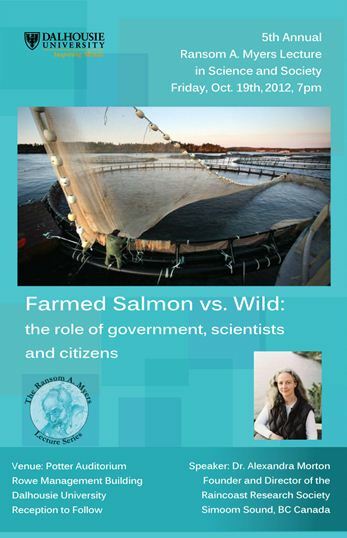 You have recently publicly challenged a scientist to debate you about salmon farming in British Columbia. This is not the first time you have asked for a public debate. As a grassroots group, BC Aquaculture Awareness wanted to write you to let you know, from our perspective, why we recommend qualified and ethical scientists should not waste their time engaging with you. Dishonesty: Most people are honest about who pays them. You have been asked for transparency about your funding, but have so far refused. When asked if Alaska salmon interests fund your anti-salmon farming campaign, you have said “no”. However, we know this is not the truth. An Alaska salmon purveyor has stated online that they provided your campaign a portion of its profits. That’s just what we’ve found with an online search – we know there is much funding not found by Google. You ask for a farm tour, but refuse to tour a farm: In the summer of 2009, you requested, a tour of a salmon farm. Two biologists joined you at the farm and began sampling fish for sea lice prevalence. You arrived in your boat and did not disembark – you refused to engage with any person on the farm. This is disappointing, because you would have witnessed many healthy fish randomly sampled. You were again invited that same year to visit a salmon farm near your home at Echo Bay, and again you refused to leave the comfort of your boat. Trespassing: Given the fact you refuse to enter a farm site when invited, we were shocked to see you purposely ignore employees at a salmon farm who demanded you not to trespass on their workplace. In the fall of 2017, you trespassed at a private workplace several times and at great risk to yourself. Fortunately, the caring staff provided you warm and safe clothing, and checked on you several times that night to make sure you were coherent. When a court date for an injunction hearing was secured the very next day, you quickly left the worksite before the court notice could be served to you. You do not have a professional designation: Facing several challenges of ethics breach from members of the Association of Professional Biology, you chose to relinquish your RPBio membership instead of defended yourself against the allegations. You overstate your credentials: On CBC radio, you proudly stated that “if you cook you are a chef, and if you do science you are a scientist.” We disagree: if one administers a Band-Aid to a child, they are not a doctor. You are not a doctor. In 2010, Simon Fraser University did gift you a “honoris causa” but specifically requested you do NOT refer to yourself publicly as a doctor. You didn’t honour their rules, and continued to advertise yourself as a doctor, and even requested that a court judge refer to you as “Dr. Morton”. You overstate your value as a “published author”: When a person dares critique your value to science, you first claim libel, and then you are quick to provide them a link to your published papers. Your role in many of your published papers has been data collection in the field, while your coauthors typically test the samples you provide them, or create mathematical models based on your data. Given alleged concerns over your ethics from registered professional biologists, it begs to question the integrity of data collection. You purposely misrepresent history to tell your story: Just recently, you posted to Facebook that “big Norwegian companies” applied for Glacier Falls farm tenure in the late 1980s. You know that is false. In fact, it was your friend and retired fisherman, William Proctor, who applied for this farm tenure, along with several other tenures that were eventually purchased by Marine Harvest and other companies. You “misinterpret” laboratory results: In 2011, you commissioned a laboratory to test wild salmon for a virus (ISA) not present in British Columbia. The lab confirmed, after testing twice, that the samples were negative (that is, no ISA). In fact, the lab report, which you chose to not to disclose at the time, explicitly stated that the testing results “did not imply that the subject fish had ISA or that ISA was present in the water where the samples were collected”. Despite this, you told media that you confirmed ISA in Pacific salmon, which unfortunately triggered British Columbia researchers and neighbours in Washington and Alaska to waste their time and taxpayer’s money running the same tests, only to confirm your “misinterpretation” of your lab report. Ms. Morton, it is very disappointing that your behaviour has, time and time again, lacked the integrity one would expect of a “scientist”. This behaviour does not encourage healthy discourse. Salmon aquaculture is an important business to many coastal communities. It’s also important to thousands of families, and they deserve a better conversation about the business that supports their families and their communities. We get it – you don’t like salmon farming. You never will. That message is clear. But it seems your ego has now disabled your ability to separate what is an honest and reasonable discussion, from what are dishonest and illegal behaviours that only serve to isolate you further from the world of science. And for these very clear reasons, we suggest you are not worthy of this recent attention you crave.